Your dog will work in sight of other dogs on a variety of different activities, from tug, targeting, and find-it games, to loose-leash walking and down-stay practice, to fun focus and confidence building exercises. A balance of energetic and calm behaviors work together to keep your (advanced!) 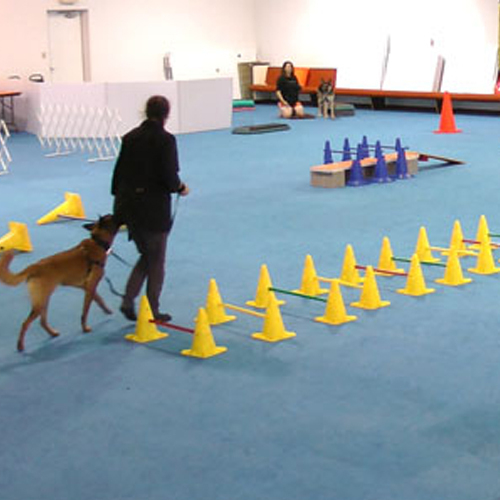 dog focused and active… not reactive! You’ll learn about training your dog some fun new behaviors that will help you work more closely and with greater focus around other dogs. You will learn to help your dog relax, play, perform tricks, gain confidence, and respond to you even when other dogs are in sight.